On 15 May 2014, the YSS and the RSS Primary Health Care special interest group held a joint workshop at Leeds University entitled ‘Beyond the Two-Arm Randomised Controlled Trial’. A comprehensive review of the event is now available on the StatsLife website – please click here to read it! 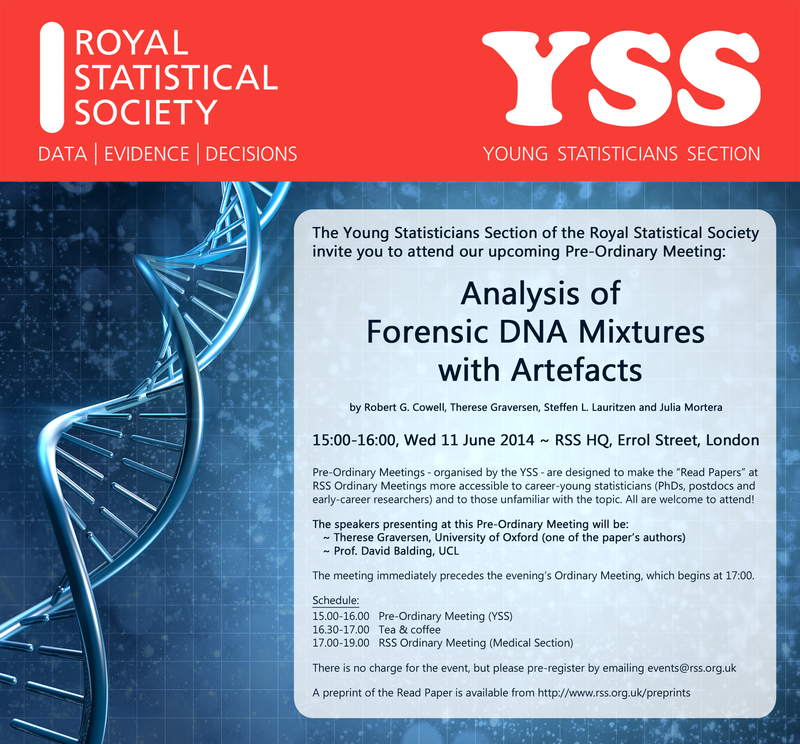 The Young Statisticians Section of the Royal Statistical Society held their annual Funding Workshop on Friday 30 May 2014 at RSS headquarters, Errol Street, London. As we all know, applying for funding can be an intimidating process – particularly for early-career applicants. With a theme of “The Inside Scoop on Research Funding”, our panel of speakers focused on giving pratical tips that could help make a proposal successful. 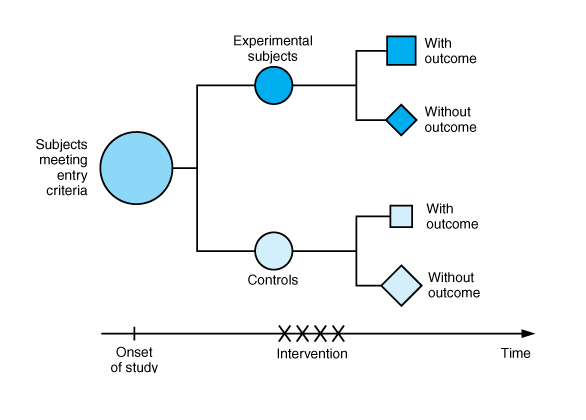 The entire process was covered – from explanations on how the whole system really works to highlighting funding opportunities that are available to early-career statisticians. 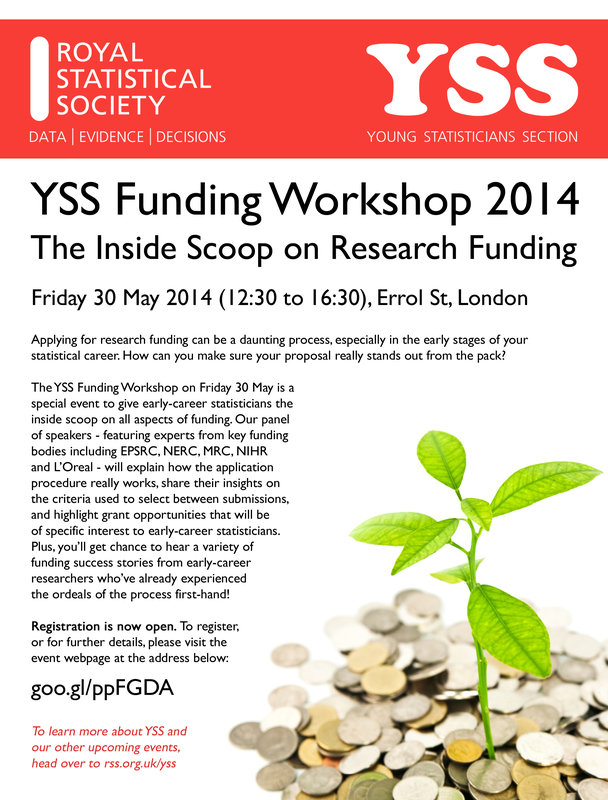 Rather than limiting our discussions to one or two funding bodies, this year the YSS invited representatives, panel members and current fellows from a wide range of funders, including the EPSRC, MRC, NERC, L’Oreal and NIHR. The discussions really opened up over the tea and coffee breaks and attendees were very involved and inquisitive, and took the opportunity to explore things in further detail with the speakers. As always, the experts imparted a vast array of incredibly useful knowledge, and many new hints and tips for successful grant applications, and we are grateful for their participation in the event. Please click on the image above for further details of the event!